Saudi women who attempt to flee Saudi Arabia are at great risk of being returned, possibly being punished by death, Moudi Aljohani, Saudi human rights activist, told RT America’s Manila Chan. 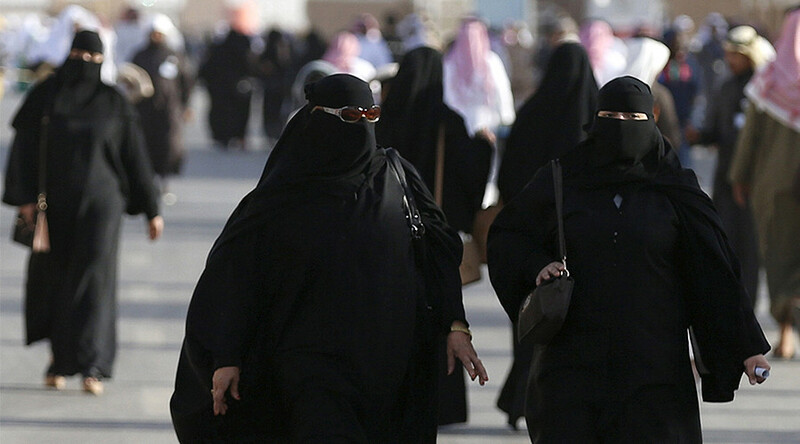 Saudi Arabia prohibits its women from working, obtaining an education or marrying without the permission of a male. Nevertheless, last month the country was elected to join a UN women’s rights commission to international outcry. Recently, the world was made aware of the case of a 24-year-old Saudi female, Dina Ali Lasloom, who was seeking asylum in Australia when she was stopped during a layover in the Philippines and forcibly returned to Saudi Arabia. According to reports, Lasloom was forcibly returned to Riyadh from Manila by two men said to be family members. Human Rights Watch has requested that Saudi officials provide details on the current status and well-being of the young woman. RT: Can you tell us anything about Dina’s condition or whereabouts? Moudi Aljohani: We don’t really know what is going on. The last thing we know that she’s been held in girls’ detention, which is another name of women’s prison [for those who are] under 30 years of age. They committed, what they call, moral crimes, or something like what Dina did. It is considered as a crime, according to the Saudi legal system. RT: Is it a different holding location than you would hold somebody that is a hardened criminal who committed a violent act? MA: It is not all the time. It is usually even a place where victims of domestic violence, or sexual assault, all these kind of crimes – they are held in the same confinement. RT: Is there any change Dina can get asylum? MA: I don’t really think there is any chance, because the only chance to leave that place is with male guardian consent, which is her male guardian. Obviously, her male guardian did all of that and she’s been kidnapped from Manila’s airport. So I don’t think it would be even safe for her to leave the place with him, or they would marry her to somebody, we don’t know yet. Does Saudi Arabia deserve place on Women's Rights Commission? RT: Do you find that Dina’s case is at all unique, or is this more common than people in the west realize? MA: Unfortunately, it is not unique, it happened before. But we don’t really know the victims’ names. That doesn’t mean they don’t exist. This has happened many times when women want to flee the country. They don’t just track or just hold women in the country. Even if we try to leave the country they try to go after us, like what happened to Dina Ali. There is also a similar case that happened to three women who fled Saudi Arabia and were stopped in Malaysia. The Saudi embassy actually offered a financial reward for whoever finds them, because the subject of Saudi women causes the Saudi government international embarrassment. So they want to make sure that these women, when they flee the country, they don’t speak about what’s going on inside Saudi Arabia. RT: What are your thoughts about Saudi Arabia getting on that UN commission on the status of women? MA: This is really frustrating and it makes me very sad and hurt, especially as Dina Ali’s case is still going on and women are facing such systematic discrimination and crimes against them. No one is condemning Saudi Arabia; they are rewarding them and I don’t understand that.